Welcome to 2016! I had high book aspirations for 2015 and, while I didn’t accomplish both of my goals, I came close enough. In my 2015 Reading Challenge, I missed 7 books of the 52. Here’s the complete list of all the book tasks I completed. I set my Goodreads challenge for the year at 75 and read 70. Didn’t rate this one since I have a story in it. Unfortunately, not as funny, well-written, or interesting as I wanted it to be. 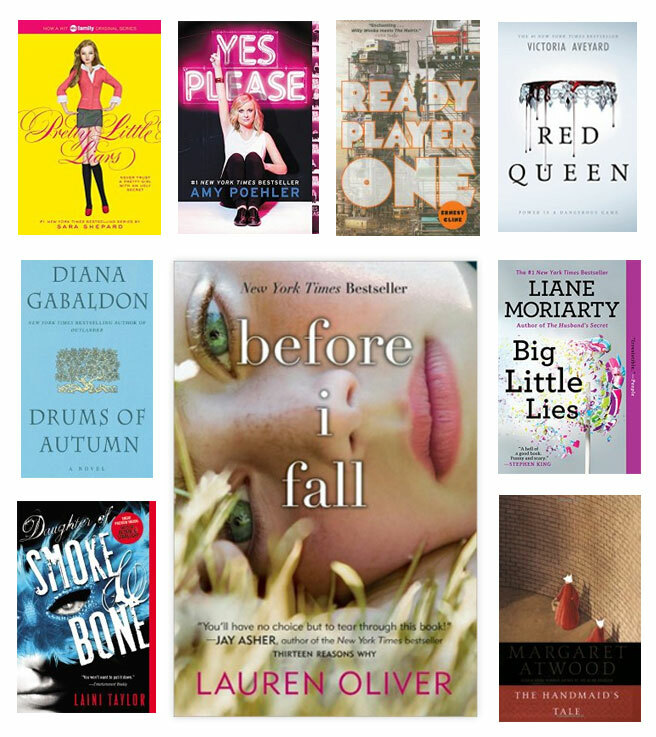 These are books that I couldn’t say I didn’t like, but I really didn’t find much to like. They left me with a rather “meh” type of feeling. A 3-star rating for me means that I liked the book. For whatever reason, it was good enough that I enjoyed it, but had something that bugged me enough to not like it more. Worth the read, but not my top picks. A 4-star book is a book I really, really liked. It kept me turning the pages, was highly enjoyable, but fell just short of that final thing that would bump it into a 5-star rating. These are all books I’d easily recommend to others. Check out my video of my top 15 books of 2015! 5 Stars = It was amazing! I am super uber picky with my 5-star ratings. A book not only has to be amazing, but I have to have some kind of deep emotional response to it. Crying, laughing, or just a desperate need to read the book. The characters must become real, and there’s usually a book hangover involved. But mostly, it’s a book that I just can’t stop thinking about. It has to rock my world in a huge way to get 5 stars. I did a partial reread of Harry Potter this year (and got to share it with my daughter for the first time!). I’ve put those books in position 11 – 15 simply to keep them together and because they’re a reread. The other 10 are in my order, with #1 being my favorite for the year. I love beginnings, so this is one of my favs in the series. I love seeing Harry’s life with the Dursleys compared with his new life at Hogwarts as he starts to become who he really is and discover this magical world that he didn’t know he was a huge part of. I love the mystery aspect of this one and the way the ending unfolds. Plus, we get to meet Ginny for real in this book as she joins the crew at Hogwarts for the first time. Finally, Harry gets a family member. I love seeing him make that connection and the way this whole book ends up being one big twist. I love watching Harry figure out each task and going through the maze. This book, too, is interesting because it’s the first real fight between Harry and Ron, leaving them not talking for a good part of the book. Harry does a lot of growing up in this one! I love the way we see the Harry and the rest of the crew grow up through the books. In this one, Harry is realy struggling and things get a bit dark. This series gets better as it goes for me. I’d loved many John Bevere books, but this one really challenged me to look at my spiritual life. He’s really good at breaking things down in a practical way. This is one I’ll have to reread a bunch of times over the next few years! The first book in an awesome series. I love Karou and Akiva and this book left me crazy to read the next one! Book 4 in the Outlander series and I loved this one no less! Much more of Bri and her story in this one. To be honest, I didn’t have the highest expectations for this book, but I was very pleaseantly surprised! Just enough mystery, just enough Mean Girls, and just enough majoe life issues to make for a wonderful mix of fun and drama. Exactly the right book at the perfect time. Often felt much like a theory session, but no less funny. If you just need a good laught at life, this is the book. And! The audiobook is read by Amy herself, which always makes it that much beter. Part The Westing Game, part The Matrix. For lovers of video games and the 80s, it doesn’t get any better than this. And an extra bonus, the audiobook is read by the awesome Will Wheaton! Can’t wait to read the next book in the series. This book ended with such a huge twist that I need to find out what’s going on with all the characters. The characters were so much of what made this book amazing. So unique and interseting. I also loved the way the stroy was told slowly, with interjections from people in town that gave different perspectives. Atwood is pure brilliance. This is a dystopian, but done in a rare way–where it fell very real and possible. Which also made it kinda scary. My fav for the year! So much that I love about this book. The way the main character changed, the whole premise and plotline. It reminded me a lot of Groundhog Day, which is a movie I love. All around fun and heartbreaking at the same time.